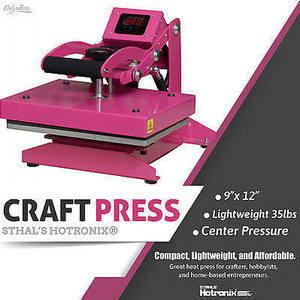 The Craft Press is a great home heat press for any entry level business, crafters, or home based entrepreneurs and hobbyists. It’s ideal for a crafting Business. The Craft Press is 9"x12". This makes it the perfect size for pressing your shirts, pillow cases, towels, and much more. Together, the two are light and small enough to be portable for craft shows or to keep your work area clean. 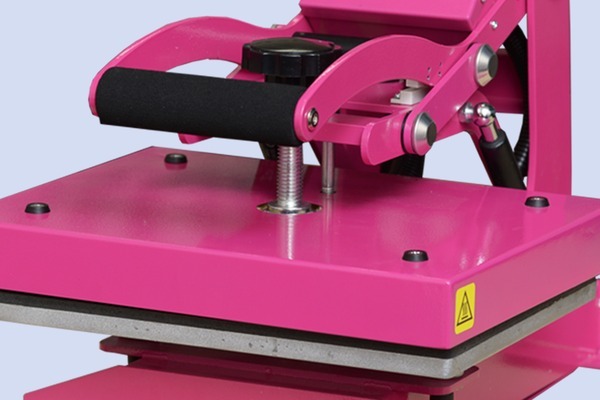 The Craft Press is also the perfect press to travel to craft shows, tradeshows, or game day set ups for on the spot personalization. Platen Size: 9" x 12"
Heat Press Transfer Vinyl Tutorial. Josh Ellsworth http://www.joshellsworth.com demonstrates the process of using heat transfer vinyl. From cutting to weeding to heating, this video will demonstrate the process for you. 2. 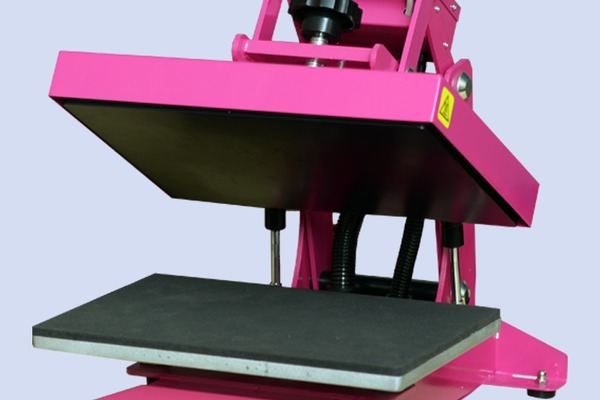 Use	heat	press	only	for	its	intended	use. 3. To	reduce	the	risk	of	electric	shock,	do	not	immerse	the	heat	press	in	water	or	other	liquids. 4. Never	pull	cord	to	disconnect	from	outlet,	instead	grasp	plug	and	pull	to	disconnect. 5. Do	not	allow	cord	to	touch	hot	surfaces,	allow	heat	press	to	cool	completely	before	storing. injury	to	persons	when	the	equipment	is	used. concerning	use	of	the	appliance	by	a	person	responsible	for	their	safety. 9. Burns	can	occur	when	touching	hot	metal	parts. 10. To	reduce	the	likelihood	of	circuit	overload,	do	not	operate	other	high	voltage	equipment	on	the same	circuit. may	overheat. Care	should	be	taken	to	arrange	the	cord	so	that	it	cannot	be	pulled	or	tripped	over. Arrived Promptly and Packed Beautifully! 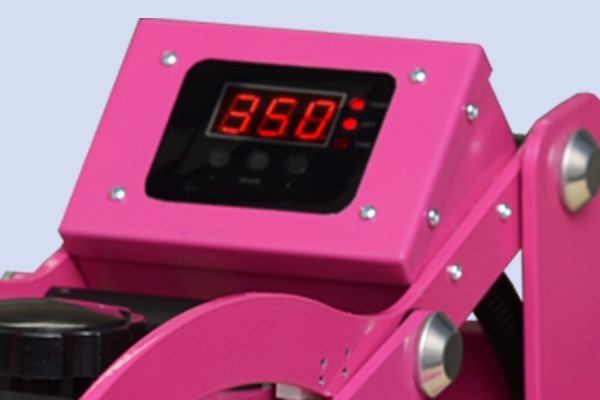 My Daughter is excited to start using her Christmas Gift, the Hot Pink Craft Heat Press. Thank you. 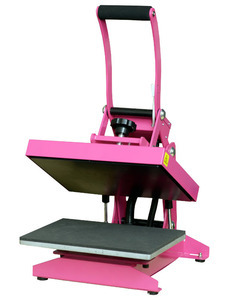 Have not used my heat press yet but think the size is ideal for personal use and is not too heavy. I believe I will be very satisfied. I appreciate it, Barbara. When hearing back order, I automatically thought weeks or months. I received the heat press earlier today. Thank you for your communication and assistance. My wife can now enjoy her Mother's Day gift! Thanks again.